The need for transformational leaders is one of the great challenges facing many organizations. We have many people who manage well and we have many people who exercise power to make things happen. But transformational leadership, leadership oriented towards being a vision keeper/cheerleader and raising up people to be passionate about the vision and work with others towards achieving it, is in short supply. One of the most engaging presentations regarding leadership that I have been exposed to in recent months is a video of the conductor Itay Talgam speaking at the 2009 TED conference in a presentation titled “Lead Like the Great Conductors.” Talgam shows videos of a number of the great conductors and highlights attributes that are shared by great leaders. Talgam begins by pointing out that there are many “stories” taking place in an orchestra performance, just as there are in our communities. 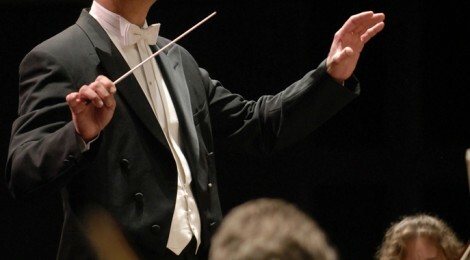 In performances, there are the individual musicians, the instruments, the sections within the orchestra, and the audience. Harmony comes from listening to each other, being sensitive to all of the stories, and knowing how to be an effective partner. One of the roles of the leader is to enable the story tellers to tell their stories so that others know how to perform in harmony with them. Talgam acknowledges that the conductor has ultimate authority, when needed, but that authority alone, without the commitment to helping each other be at their best, is not enough.